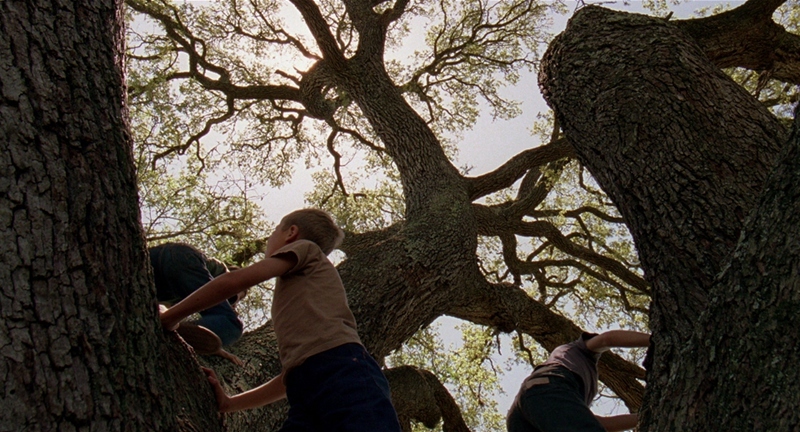 The theatrical cut of Terrence Malick's The Tree of Life (2011) is a film bursting with contradictions. It's too short and too long. It's verbose and not talkative enough. It's strikingly personal and distant. It's fiercely uplifting and almost casually cynical. 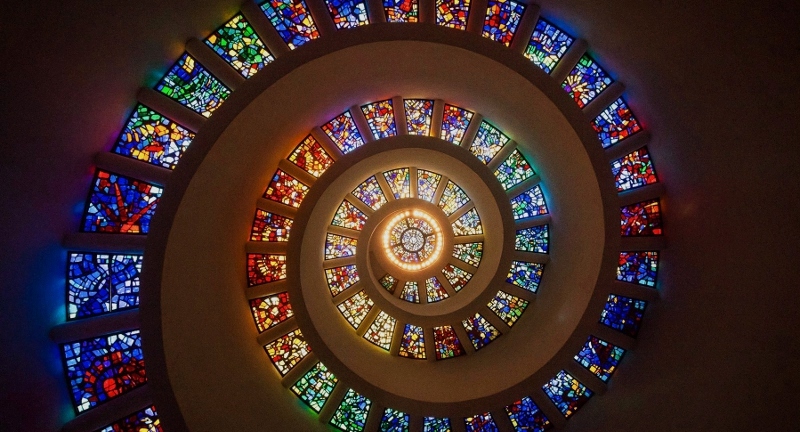 Not surprisingly, these elements made The Tree of Life one of that year's most polarizing films -- but also one filled with the director's particular brand of hypnotic visuals. A jaw-dropping level of beauty is on display here, from sun-soaked Texas fields to cleverly constructed images of deep space. The Tree of Life's lyrical, non-linear structure and impressionistic storytelling set it far apart from your average mainstream production, and it's obvious that a lot of care, planning and detail went into every frame. Yet some of the points earned for creativity are negated by an inflated sense of self-awareness, too much voice-over and a failure to...well, branch out, if you'll pardon the pun. In human terms, the "Tree of Life" is an all-encompassing symbol present in several major religions and biology itself, among other things. More often than not, it suggests the path to a higher power and/or the way in which living things are intertwined. On paper, this sounds like a perfect match for Malick's drifting, reflective style: from Badlands to The New World, his films typically dwell on the existential side of our human experience. Specific events and time periods often provide the framework for a larger, deeper story, and The Tree of Life is no exception to this rule. Set in rural Texas during the 1950s, it's apparent that The Tree of Life contains a few purely autobiographical elements. Three different stories are juggled during this film, with the most ambiguous being an abstract journey through space and time. Two more specific stories revolve around Jack O'Brien, both as a young boy (played by Hunter McCracken) and a middle-aged man (Sean Penn). Jack's childhood is explored in modest detail, often focusing on relationships with his stern, temperamental father (Brad Pitt), a naïve but loving mother (Jessica Chastain), and his trusting younger brothers (Tye Sheridan and Laramie Epplar). As an older man, Jack still seems conflicted by his polar opposite parental figures and a tragedy during his young adult life. Meanwhile, our journey through time suggests that one human life probably doesn't matter all that much in the grand scheme of things. Either that, or it matters more than anything else. If The Tree of Life's 139-minute theatrical cut seemed daunting, Criterion's exclusive 188-minute extended version might not be your idea of a good time. Fear not: it actually feels like a slightly more comfortable fit than its older brother, as the 50 minutes of additional scenes -- combined with what appear to be a lot of small trims and other alterations -- give the film more time to breathe right (not just breathe more -- it really didn't need that). Bear in mind, however, that if The Tree of Life left you lukewarm in 2011, this extended cut won't change your mind entirely: the whispered voice-overs and poorly-rendered CGI dinosaurs haven't gone anywhere. 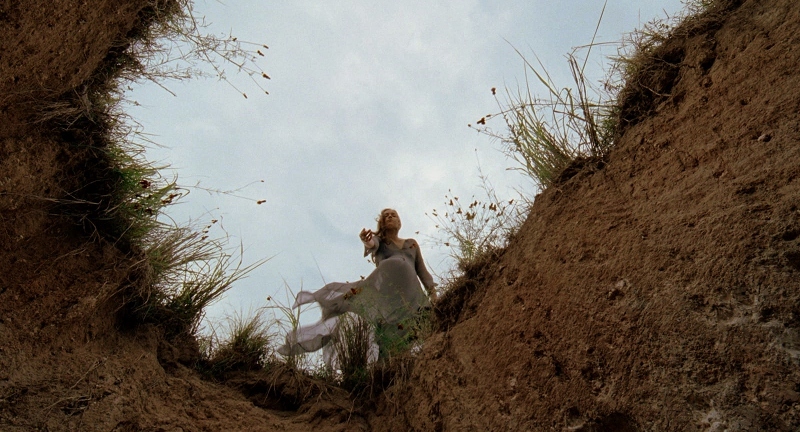 Although Malick still considers the shorter theatrical version his "director's cut", Criterion's new two-disc Blu-ray edition includes both versions for posterity. It's also worth noting that this extended version was kind of a last-minute compromise by Malick, who initially proposed a "randomized" version of The Tree of Life via seamless branching technology that, quite literally, would never be the exact same film twice (an ambitious idea that was ultimately scrapped). Specific differences from the theatrical version include more time devoted to the O'Briens: Jack as an adult [Sean Penn's character] is thankfully fleshed out a lot more, while specific events from his childhood -- not to mention the earlier lives of his parents -- are now shown instead of just implied. As a result, the lives of everyone seem more fully connected. But from a technical standpoint, the changes are even greater: The Tree of Life's original 35mm negative reels were located and newly scanned in 4K resolution after being re-cut by original editor A.J. Edwards. Additionally, cinematographer Emmanuel Lubezki color-graded the extended version, sound editor Joel Dougherty added new foley and sound effects, and a new multi-track mix was created to tie it all together. Malick, of course, was directly involved in the process and approved the final product. As a whole, The Tree of Life still feels like an incomplete, disjointed production that's cursed with soaring highlights and annoying roadblocks in almost equal measure...but with Criterion's addition of a brand new extended cut, subtle but appreciated A/V improvements, and a handful of new extras, this two-disc Blu-ray edition is a no-brainer for established fans and possibly worth re-evaluating for anyone on the fence. It's a true labor of love that stands as one of the studio's most ambitious projects to date, even if that intriguing "randomized version" never actually panned out. Presented in its original 1.85:1 aspect ratio, The Tree of Life looks predictably amazing on Blu-ray no matter which cut you're watching. The theatrical version, which debuted on Fox's 2011 Blu-ray, has been newly scanned in 4K and shows a marginal uptick in overall quality -- not exactly a night-and-day difference, but it's there if you're looking. The extended version, on the other hand, has been newly color-graded and largely favors a slightly warmer palette; it leans towards red where the theatrical cut is a touch greener. In both cases, these 1080p transfers include a jaw-dropping amount of detail captured in dozens of natural and digitally-created locations. Shot primarily with natural light, The Tree of Life boasts wonderful shadow detail, solid black levels, and a pleasing layer of film grain. Digital problems are non-existent. Had this been a true 4K UHD release, it would likely be on the short list of best-looking discs available. The Tree of Life's substantial 7.1 DTS-HD Master Audio track is equally impressive, especially if you follow the Blu-ray's on-screen request to play it at high volume. This is an incredibly spacious and enveloping audio mix from start to finish, especially during the film's classically-tinged soundtrack. Boasting strong channel separation, thunderous LFE, a tight dynamic range and crisp dialogue, this is as perfect an audio presentation as you'll find on home video. Please note that the extended version is sourced from a more recent 7.1 mix that includes new foley and sound effects added by sound editor Joel Dougherty, but it didn't sound all that different in overall tone, depth, and effectiveness during the times that I sampled each one. Optional English subtitles are included for both cuts of the film, but not the extras. Criterion's interface is very smooth and easy to navigate with access to a timeline, chapter selection, and bonus features. The two-disc Blu-ray edition is locked for Region A players only; it's packaged in a handsome fold-out Digipak case with overlapping hubs and images from the film. The included 48-page Booklet contains production notes, A/V specifications, still photos, an essay by critic Kent Jones, and a 2011 piece on the film by the late, great Roger Ebert. Aside from the extended cut mentioned above, this release includes a few new supplements that dig deeper than those found on Fox's 2011 Blu-ray (unfortunately, the reclusive Terence Malick does not appear on camera). Leading off are two recent Retrospective Interviews featuring actress Jessica Chastain (18:38) and senior visual effects supervisor Dan Glass (22:32), who collectively discuss their first meetings with Terrence Malick, other projects with the director, the audition process, stories from the set, working with a small crew, being in the moment, the creation and flying sequences, staying grounded, practical effects vs. CGI, working with NASA and the scientific community, and much more. Also here are three Video Essays; the first features critic Alex Ross (18:54), who speaks about Terence Malick's use of classical music in his films including the work of Johann Sebastian Bach, John Tavener, Zbigniew Preisner, and Hector Berlioz (ironically, the audio recording of Ross's voice is riddled with defects). Meanwhile, critic Benjamin B (16:27) offers an annotated essay about The Tree of Life's striking cinematography; it's based around audio interview segments with cinematographer Emmanuel Lubezki, production designer Jack Fisk, cameraman Jörg Widmer, editor Mark Yoshikawa, and others. Finally, "All Things Shining, Part 5: The Tree of Life" (24:05 total), created in 2011 for New York's Museum of the Moving Image by critic Matt Zoller Seitz and editor Serena Bramble, is a two-part piece that further dissects Malick's use of voice-over narration, a free-associative editing style, and cinematography techniques. 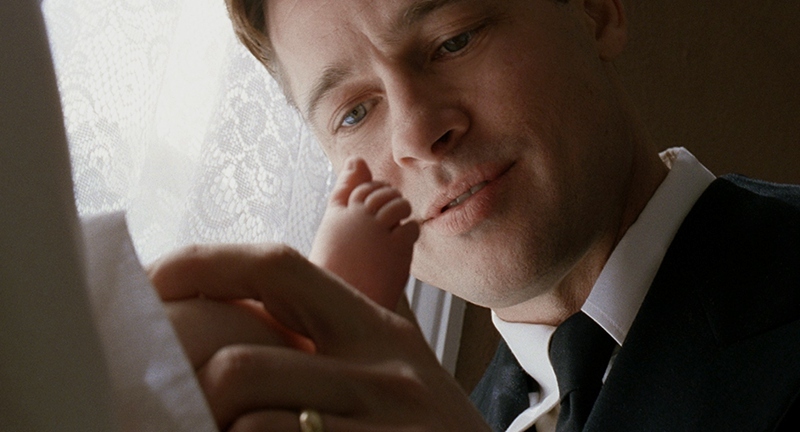 Carried over from Fox's Blu-ray are "Exploring The Tree of Life" (29:56) and the film's Theatrical Trailer (2:06). Overall, this is a broad and enlightening collection of extras, although many of the new ones tend to favor Malick's entire career instead of the film itself. The lack of an audio commentary on either cut is also unfortunate, but not surprising. Terrence Malick's The Tree of Life is a polarizing film from a polarizing director who's only gotten more self-indulgent in recent years...but to my surprise, this new extended version (which clocks in at just over three hours) feels like a more complete, better-paced film than the 2011 theatrical cut. It doesn't remedy all the problems, but at least allows a few of its less-represented characters to get more time in the spotlight. It's best thought of as an "alternate experience", which makes Criterion's new Blu-ray package all the more intriguing: we get both cuts of the film, a little extra spit and polish on an already-great A/V presentation, and over 90 minutes of new and exclusive bonus features that examine the film's terrific cinematography, music, and practical effects. Firmly Recommended, but only to established fans.